The company develops and manufactures high-technology security products for screening and surveillance. For three decades we have pioneered the use of ultra-low-dose x-ray imaging developing products that have been brought to market by the some of the biggest players in the Homeland Security space. Our technologies rapidly and safely screen for weapons, explosives, drugs and other contraband. Our products have been widely deployed around the world by the TSA, U.S. Department of Defense, the State of Israel, and other Governmental Agencies. 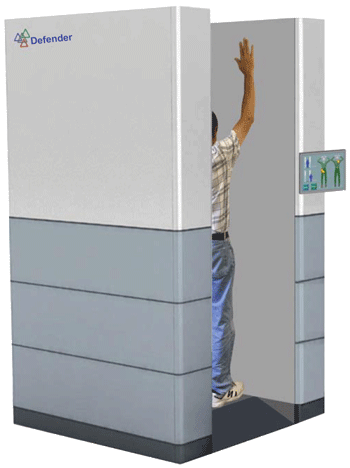 We developed the world’s first body scanner (1991); the highest resolution surveillance camera of its time (2001); and the first drive-through car bomb detection portal (2009). Tek84 also conducts research and development for Government agencies, including: the National Institutes of Health, National Science Foundation, Transportation Security Administration, Department of Energy, the Counter Terrorism Technical Support Office, United States Secret Service and the Israeli Security Agency.